First off, welcome to my new blog. Come in and make yourself at home. Ooh would you em…mind taking your shoes off? It’s just, well, you know, we’re more of a shoes-at-the-door kind of blog, what with the new white background and all….the wife’ll go mad. You know how it is. Anyway, have a swatch about and let me know what you think. I live shamefully close to the Belgian border and yet, as I’ve mentioned before, have only been to Charleroi. 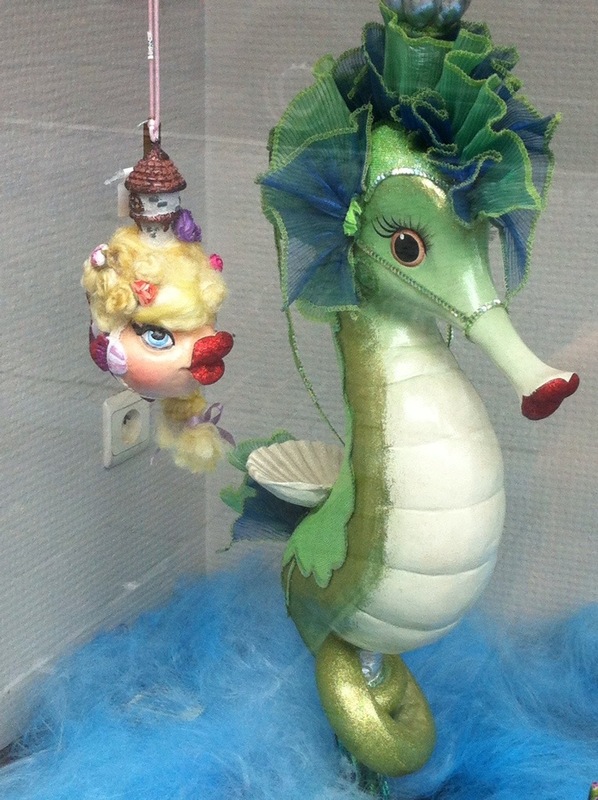 Whilst Charleroi had given me my fill of going to places that are as pleasant as a 1987-Chernobyl, I felt the rest of Belgium may have held more charm. I was, thankfully, correct. Our first day trip was to Bruges: home of incredibly quaint Flemish architecture, Venice-esque canals and a tower they throw dwarves out of. That last bit might have been the film. Our adventure began with going to pick up Clem’s dad’s car, which we were borrowing for the day. The car was parked outside his dad’s house, which is where we remained for a good 15 minutes trying to work out how to start a Hybrid. Male pride getting the better of him, he refused to go and ask his dad to the point that I started trying to find youtube tutorials of how to do it. We just pressed a combination of buttons, with clem getting more and more annoyed. You know when someone’s in a bad mood and it just makes you giggly? I decided giggling out loud would not be helpful for this stressfest, so instead I suggested that he call his dad. At this point, the wonders of technology were well in force and, since his dad was in the house, he was close enough for the call to display on the car’s screen as “Clément calling” instead of actually reaching his dad’s phone. I think I silently laughed enough that I peed myself more than a bit. We finally arrived at our destination in a car so quiet that pedestrians in front of us didn’t hear us coming. Have Toyota considered using this as a marketing strategy? I’m sure there’s whole gang-run areas of LA that would love a quiet drive-by car. Anyway. 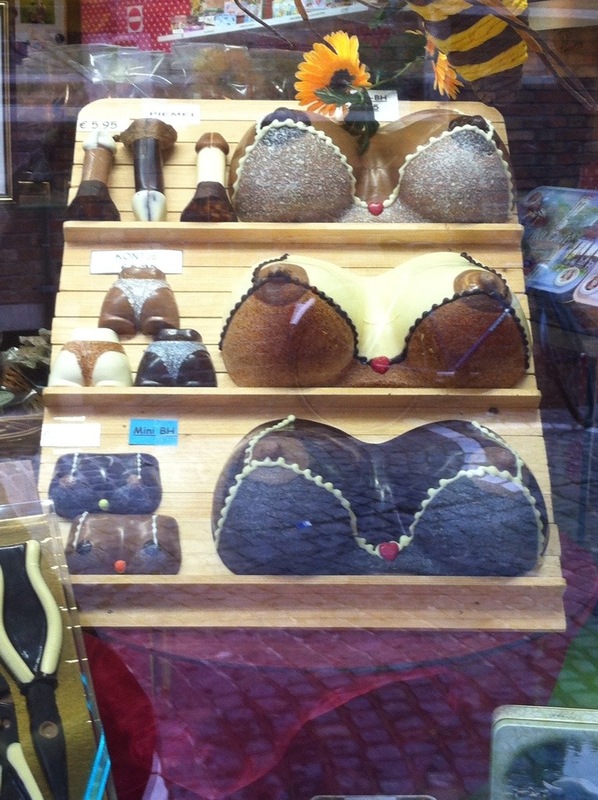 Bruges. When we arrived the heavens opened and it pissed down for a bit. We also arrived at siesta time so everything was shut. We decided to wait out the weather by going for mussels, chips and beer. Of course. Within half an hour all the shops had opened and the weather had cleared up so we went a-wanderin’. 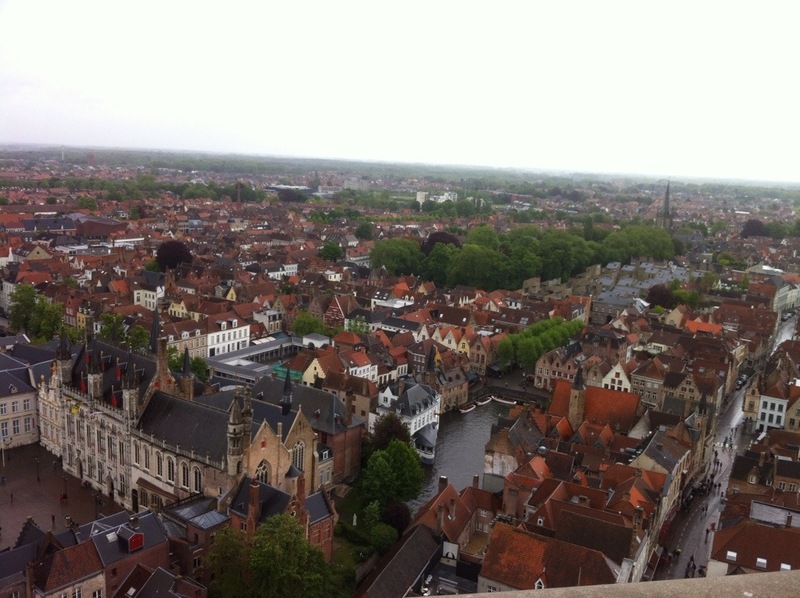 We climbed the tower which claimed to have around 300 steps but in reality had around 72,000. When I reached the top I felt like I had the lungs of Serge Gainsbourg. It was particularly difficult to climb because the higher you got, the narrower the stairs became. This meant that you’d get half way up a set of stairs then someone would be coming down and you’d go “oh sorry!” and walk back down. 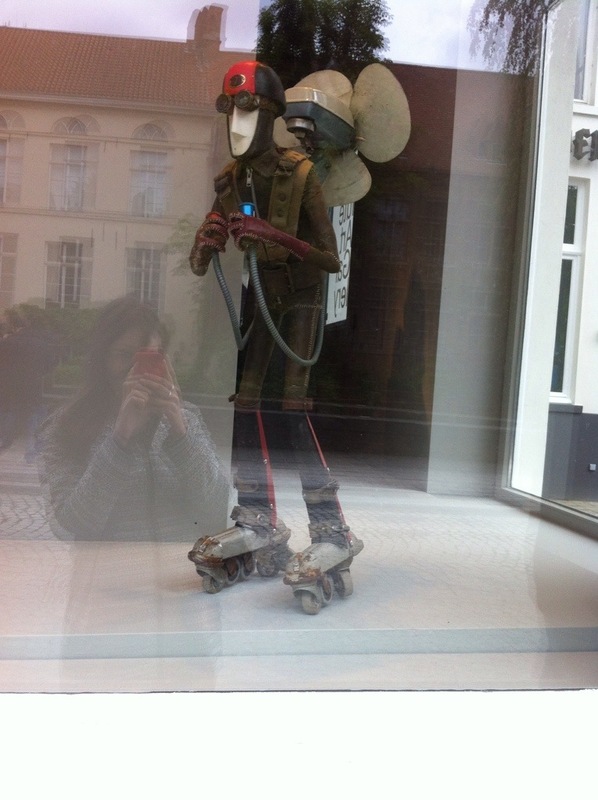 It was interesting to see how different nationalities reacted to this. In almost comically-stereotypical fashion, the Americans and most Europeans would storm ahead, whilst the overly-polite Brits like me would turn into Hugh Grant and bluster and offer to go back down even if they were a step from the top. It was all worth it for this sweet Brugey view though. 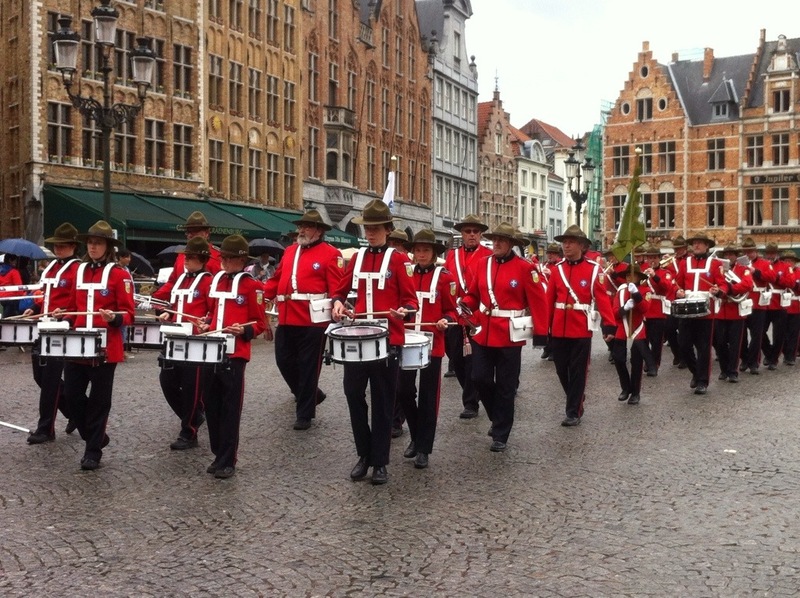 For some reason, when we came out there was a marching band dressed as Mounties. Later, we did a boat tour with a guide who had to say everything in 4 languages, whilst steering the boat. He pointed out buildings of note, minute gothic windows and breweries, all in the style of Adam West. I’m still not sure if it was deliberate. 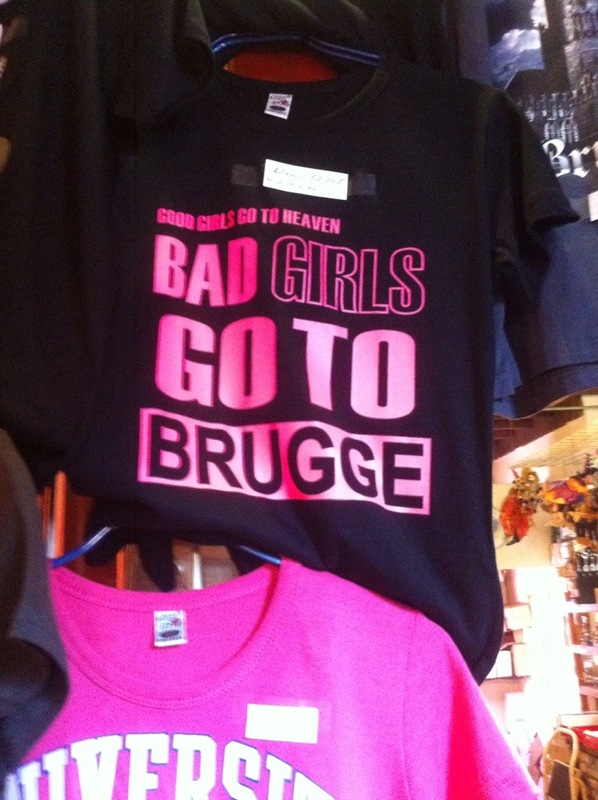 I’m not sure what would qualify as being a bad girl in Bruges. Approving architecture plans for a building less than chocolate-tin charming? Serving a plate of mostly-closed mussels to tourists? Hijacking one of the quaint horses and carts? The mind boggles. Not content with Bruges, the next weekend we headed back to Belgium to visit Tournai. There is nothing in Tournai but we were well aware of that before we headed over. It’s main attraction for Frenchies is that it’s the first town over the border. Therefore, it is a beacon of cheap cigarettes and alcohol for all concerned. A bit like an easyjet flight from Glasgow to Tenerife, really. Not being a smoker, I focused my efforts on the beer. We spent the day sitting outside in the sun in pavement cafés, guzzling 10% beers for 3€ a pop. Naturally this ended well This led to me almost getting sunstroke. 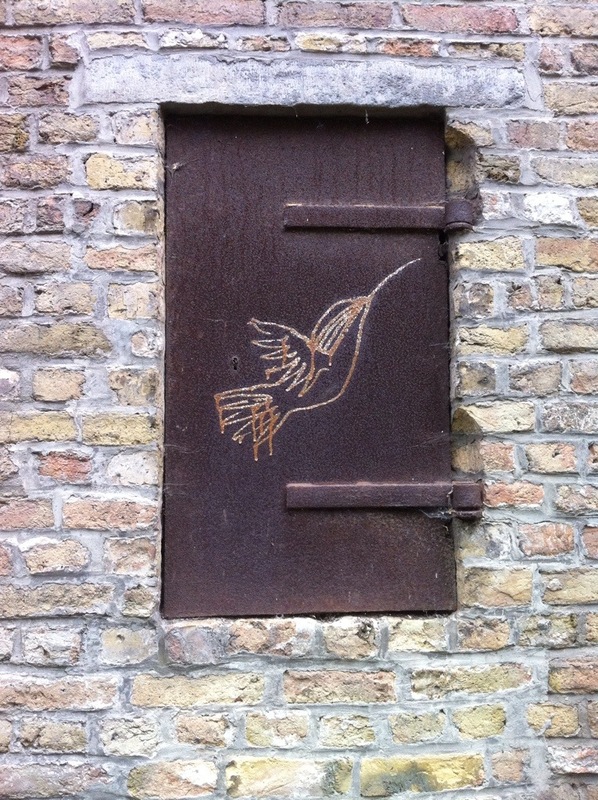 In Belgium. 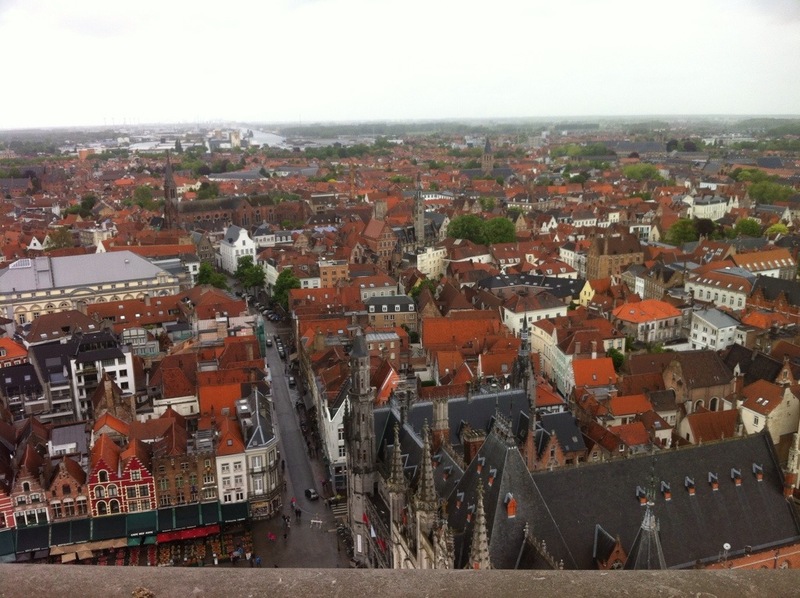 It took everything in my power not to whitey up half-price beer after climbing Tournai’s belfry. I did manage to rally enough to get excited in a tobacco shop when they had tubs of tobacco big enough to make 1500 cigarettes with. I got to kid on to be a wee, tobacco-loving elf. They were comically huge. In non-Belgium related news I’m practically finished work, aside from the evening classes I give to adults. This has led to the usual end of contract questions. Namely what to do with my life and what country to live in. So, no big deal!